Prices for our products are subject to change, without notice. Unless otherwise indicated, prices displayed on our website are quoted in U.S. dollars. We reserve the right, in our sole discretion, to refuse orders, including without limitation, orders that appear to be placed by distributors or resellers. If we believe that you have made a false or fraudulent order, we will be entitled to cancel the order and inform the relevant authorities. 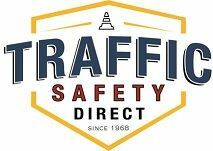 Please send all questions, comments and feedback to us at sales@trafficsafetydirect.com.